We live in a touchscreen world. Capacitive touchscreens are a vital part of most portable devices such as smartphones, tablets and handheld game consoles, as well as TV screens and computer monitors. Touchscreens have also entered several automotive, industrial, medical, even military applications, where special features are demanded. In each industry the touch screen specs are different. One thing is the same, however: touchscreen performance should be as high as possible. Touchscreen manufacturers focus mainly on creating innovative and robust products as quickly as possible. Such touch screens must be compatible with the controller, reliable in recognizing finger touch or proximity, and immune to noise. In addition, touch sensor industry is commonly based on proprietary patterns and customized products, so there is a continuous need for testing new models with special features. How is touchscreen performance checked? Traditionally, it’s done in two ways: either through hand calculations, which are based on approximations and cannot be useful when product optimization is required, or by spending tons of engineering time and money in creating and testing prototypes in a lab. Although touch screen manufacturers follow guidelines given by the IC makers, this is a time-consuming process, as it requires many iterations between the two sides. In recent years, that we are entering the third phase of touchscreen evolution, digital prototyping becomes more and more popular. What will help companies to benefit from simulation and lead to a real revolution in product development is the digital prototyping to become simple and intuitive to use. 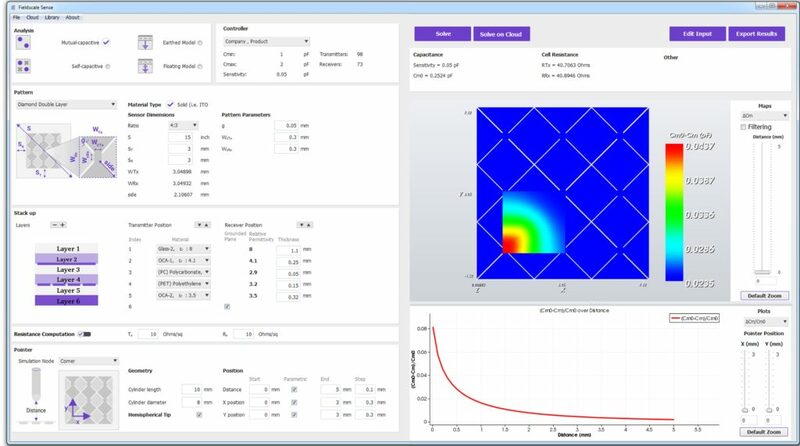 Such an intuitive and fast way in digital prototyping is offered today by Fieldscale SENSE, a specialized simulation software tool that helps capacitive touch screen designers to virtually test and optimize their products just before manufacturing process. Why is Sense the ideal tool for this work? The answer is in the simplicity of its workflow: Apart from its incomparable speed and guaranteed results thanks to cutting-edge, fully parallelized algorithms built on top of the Boundary Element Method, Sense offers a simple, clear, intuitive user interface that renders manuals and tutorials pretty much pointless. Is the touch sensor mutual- or self- capacitive? Is there any connection to ground or is the device “floating”, for example, left on a table? The user can choose from four different analysis options. Fieldscale SENSE takes into account the controller, which may be selected from the database or simply added on with one click. Ready-to-use electrode patterns, like diamond or Manhattan, are selected from a library. Patterns with floating parts (“dummy” patterns or “islands”) are also included. All the user does is give the geometrical parameters, and the electrodes are automatically drawn. And what if touch screen designers use customized, proprietary patterns? Fieldscale SENSE has them covered. The user can import any custom patterns straight from .dxf or .dwg files. The stack up is created in a similar manner, as the number of layers and the position of transmitting and receiving electrodes are defined by one click. The user also gives the material and thickness of each layer and that’s all! Sense creates the entire 3D model, automatically. Touchscreen performance has to be checked for a great many different positions of the finger or stylus. Piece of cake. With Sense, a parametric simulation for up to hundreds of different finger positions in all three dimensions is set up in just a few seconds. Last but not least, the results. 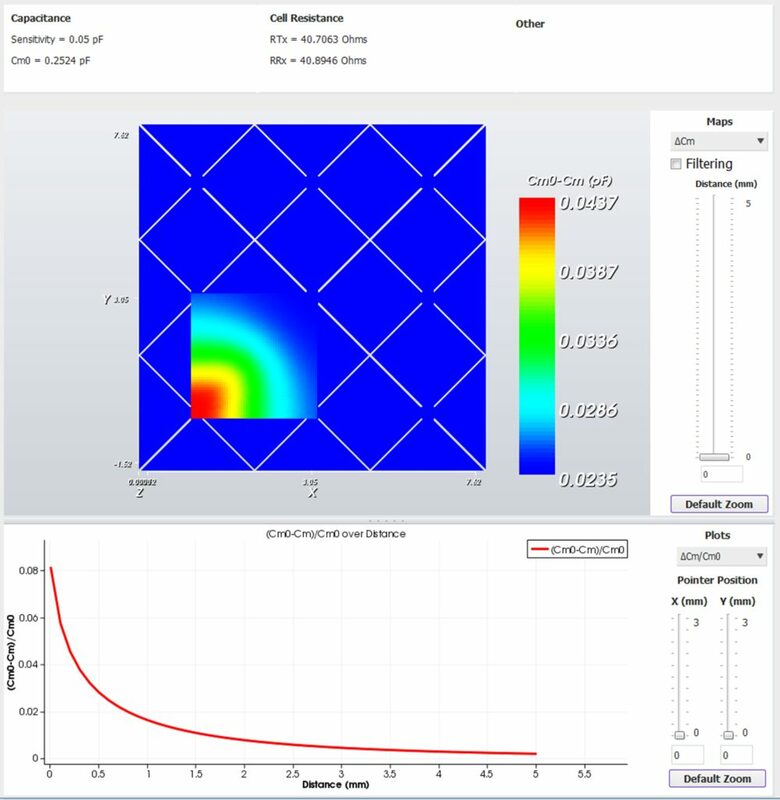 Resistance and capacitance values are given through heat-maps and plots that show exactly what the touchscreen designer wants to see. 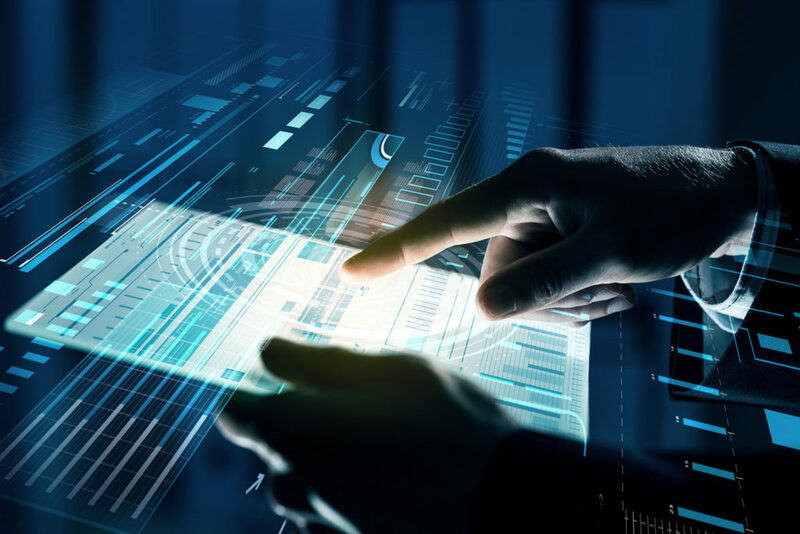 Sense helps the touchscreen industry save engineering time by minimizing the testing period, shrinking the time-to-market even for special, customized products, and enables touchscreen manufacturers to always be one step ahead of the competition with the highest possible touchscreen performance. Product Director Vasilis received his PhD in High Voltage Engineering from the School of Electrical and Computer Engineering of the Aristotle University of Thessaloniki. His scientific interests focus on corona discharges and electric breakdown, including theoretical analysis and experimental investigation. He is also interested in electrostatic applications, as well as simulation of high voltage equipment and capacitive touch sensors. Is Technology Ready to Support Extra Large Touchscreens?